Scent Branding: Smell of Success? Yesterday at the gym, I was pedaling away on the Arc Trainer when a cute 80 year old lady came up and sat down on the recumbent bike next to me. She seemed innocent enough, until she turned out be an environmental affront! As I involuntarily placed my towel over my nose and mouth, I realized she had coated her coiff with an overt amount of noxious hairspray. As her cheap perfume combined with the hairspray fumes, it rose to assault my nose (and tastebuds!) and cause my lungs to constrict. But for the gasping sweat hogs in the gym... the little old lady brand scent wasn’t a good thing. I actually moved to another machine – next to a man – who unfortunately smelled like curry (but we won’t go there). Not a good gym day. Lest I digress, I found this all ironic, because I had just started a piece on Scent Branding..
Scent Branding is a discipline of sensory or experiential marketing. It has been promoted by Gerald Zaltman and many others including the Scent Marketing Institute and has become a 14 billion dollar global market for retailers and marketers looking to enhance brand experience. Some may think "scent marketing" and identify with a company like Yankee Candle . Yankee understands the power of scent – but today’s technology goes beyond melted wax, potpourri and fragranced oils. Consumers can now purchase small scent dispensing machines from the grocery store. Check out Febreeze's Scent Stories Machine uses fragrance discs to disperse scents like "Mountain Trail" and "Tropical Island" in the home. But most significantly, scent technology today reaches far beyond the home. While you may not realize it, you have probably been exposed to scent technology sometime within the last 60 days. Scent branding is being broadly deployed in major retail, boutique stores, airlines, museums and marketing venues across the globe, and in a neighborhood near you. This is not a new field and the science of smell has been leveraged in product development for years. So why all the commotion (see articles in Forbes, USA Today, Washington Times, Ad Age,) over Scent Marketing now? It's simple: The sense of smell is one of the strongest and most powerful triggers of emotional memory. With rapid recall, each one of us can conjure up the smell of Christmas, a newborn baby, fresh cut grass – or the smell of “home.” The mere recall of a fragrance can to mind a myriad of associative memories, as well. And fragrance makes a lingering impression: Published studies suggest that people recall smell with up to 64% accuracy after one year. Now, that’s powerful associative power! Used in the right way, scent branding can enhance customer (or personal) experience in a pleasurable manner. The use of scent branding in consumer purchasing environments has been shown to be influential in driving consumer purchasing, as well. Scent Air, a market-leading scent technologist has used scent technology effectively in a myriad of environments since the year 2000. The company today maintains an impressive client list, including major retailers, upscale hotel chains, airlines, retail chains, boutiques, museums – even beer companies. Want an example of Scent Air at work? Walk in to a new Sony Style retail store and you may catch a whiff of the custom Sony fragrance engineered to compliment the store experience. It's a combination of mandarin orange, vanilla and cedar. In addition, you may experience Scent Air's ScentWave technology at work in Bloomingdale, where customers detect the distinct smell of baby powder in the store’s baby department, or a hint of suntan lotion in the swimsuit area. The company recently deployed ScentWave technology to project "waffle cone" smell adjacent to a to find ice cream parlor in the Hard Rock Hotel in Orlando, which was instrumental in driving a 50% sales increase. Beyond large-scale retail deployment, the company also has systems that support 15 foot scent projection for POP deployment, as well. The firm ran chocolate scent tests at a vending machine in Santa Barbara which drove chocolate sales up 60% (with overall sales up 15%). Think about this next time you go grab a candy bar. The same chocolate scent was used to “flavor” the premiere of the film “Charlie and the Chocolate Factory” last year. So there’s power in scent branding - but is it ALWAYS good? Even for this aromatherapy fan, the acrid scent of Aqua Net and Jean Nate serve to remind me scent marketing can go bad for a variety of reasons. I often resent Cinnabon for projecting the haunting cinnamon bun smell, which beckons me to depart from my diet at the airport or in the mall food court. I want to karate chop the "perfume nazis" at major department stores who assault me with “complimentary spritzes” of the latest fragrance. My head reels in Sephora, where overpowering smells distract or disorient me – even giving me headaches that prompt my departure. Cookies. Yum! Most of us like the smell of fresh baked cookies, right? That’s what the Milk Board thought, when they launched “Got Milk” ads, in five bus shelters in San Francisco. The Ads were accompanied by strategically placed “scent strips” that smelled like home baked cookie heaven. The thought was that perhaps the association would motivate individuals to enjoy a glass of milk with their next cookie. Now this would seem like a public service to some of us. I know for me the smell of cookies beats the smell of garbage, car exhaust, or as Ad Age puts it - urine or vomit (which is often what bus shelters smell like). Evidently this was not the case! Although it was a small scale deployment, the cookie scented ads spawned aggressive protest from groups representing individuals with environmental allergies, asthma, chemical sensitivities, diabetes, obesity and even those who represented the homeless (shame on the Milk Board for making them hungry). While the news isn’t likely to thwart the growth of this multi-billion dollar industry - or the Milk Board's future use of scent branding, it serves to remind all of us that the power to use scents to enhance customer experience is both a gift and a responsibility. We can’t depend on smell alone to create the brand association. 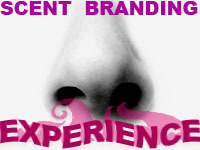 Scent branding uses smell to attach a user to an experience with an environment or event. Therefore, the environment’s layout, design, structure, customer service, products, music, lighting, flow are extremely important. Things that smell “good” to some may not be good for all. As anyone in product development will tell you, testing is required to ensure that scent marketing is helping, rather than hurting with the target demographic. Adjusting the scent “volume” is essential. Overpowering customers with smells that seem overwhelming may be a real turn off. Some venues call for overt scenting (e.g. Cookie store) but most (hotel room, boutique) require a more subtle approach. The use of too many fragrances can be a turn off. Just try smelling different perfumes for 15 minutes and you’ll catch the drift. Combinations should be tested and adjusted carefully. Scent context is important.The smell of men’s cologne spilling into the women’s dress department may be confusing. The smell of a Christmas holiday in say, a galvanized, sterile environment may be confusing. The power to smell and respond to odors differs based on age group. For example, The Boston Globe reported that kids are up to 350 percent more responsive to the five senses than adults, and especially to smell. The elderly population will not be as keen or carry the ability to notice certain smells. Individuals may take offense at highly obvious scent dispersion.. My example of Cinnabon stands – people tend to resist and resent overt manipulation. Successful scents can carry over into other areas of brand extension. Popular fragrances can be sold to eager consumers for home use, used in room sprays and other scented merchandise (candles, potpourri, sachets). Perhaps most important: the chemicals used in of scent dispersion systems can create problems for people with health or medical problems. These include chemical sensitivities, allergies or athsma. I'm not aware of any lawsuits right now, but be stay tuned. 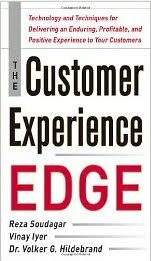 Something to think about as we add common sense to our choice to add scents to drive cents and drive brand affinity through enhanced customer experience.